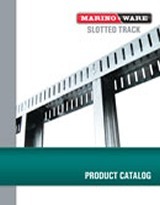 Cold-Formed Steel Slotted Track is designed for use at the head of wall to protect the integrity of walls during building movements by absorbing vertical movement caused by expansion and contraction, wind forces and seismic events. Walls are positively secured to both flanges of the stud, for greater load resistance and protection from lateral movement while allowing vertical deflection of a structure. 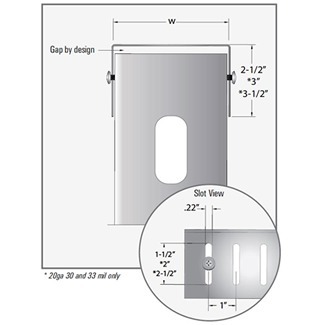 Slotted Track by Marino\WARE is used at the head of wall and can absorb up to 1″ of total vertical movement while providing a positive attachment for wall framing. The positive attachment allows for greater load resistance with thinner gauges of material. This durable product is formed from only prime steel conforming to applicable ASTM requirements. #8 Wafer Head Self Tapping for 25 & 20 gauge (DW), #10 Wafer Head Self Tapping for 20 (STR), 18,16 & 14 gauge.